He Prepared Tax Returns for Clients and Omitted Over $1.5 Million in Income on His Own Tax Returns A former attorney, who also prepared tax returns for clients, pleaded guilty to tax evasion, announced Principal Deputy Assistant Attorney General Richard E. Zuckerman and Josh J. Minkler, U.S. Attorney for the Southern District. Scott C. Cole, 54, pleaded guilty to one count of tax evasion for his multi-year effort to evade the payment of taxes and penalties on income he failed to report on his 2002 tax return. According to the Superseding Indictment and court filings, Cole was an attorney and preparer of tax returns. As the result of Internal Revenue Service (IRS) audits of Cole’s 2001 and 2002 tax returns, the Tax Court and the United States Court of Appeals determined that Cole owed over $1,000,000 in taxes and penalties, stemming from Cole’s fraudulent omission of over $1.5 million of income from his individual tax returns for those years. From 2011 through 2017, when the IRS sought to collect those taxes, Cole took various steps to evade payment of his tax debt. His efforts included opening bank accounts in the names of nominees, such as family members, directing payment for legal and tax preparation services performed by him be made payable to nominee companies he controlled, paying personal bills from bank accounts maintained in the names of nominees, and dealing extensively in cash and money orders. Cole also prepared tax returns for clients that omitted his name as the paid preparer of those tax returns, a violation of the Internal Revenue Code and related regulations. Because of Cole’s acts of evasion, the IRS collected less than $3,000 of the total tax debt Cole owed for the 2001 and 2002 tax years. Cole resigned from the bar following the filing of a complaint by the Disciplinary Commission in 2014, which charged Cole with the filing of fraudulent tax returns with the IRS and the State for the 2001 and 2002 tax years. U.S. District Judge Jane Magnus-Stinson, who presided over Cole’s guilty plea yesterday, is expected to schedule Cole’s sentencing for late summer 2019. Principal Deputy Assistant Attorney General Zuckerman and U.S. Attorney Minkler commended special agents of IRS-Criminal Investigation, who investigated the case, the IRS Revenue Agents, who conducted the underlying audits, and the prosecutors on the case, Assistant United States Attorney James M. Warden from the Southern District and Assistant Chief Stanley J. Okula, Jr. of the Tax Division. 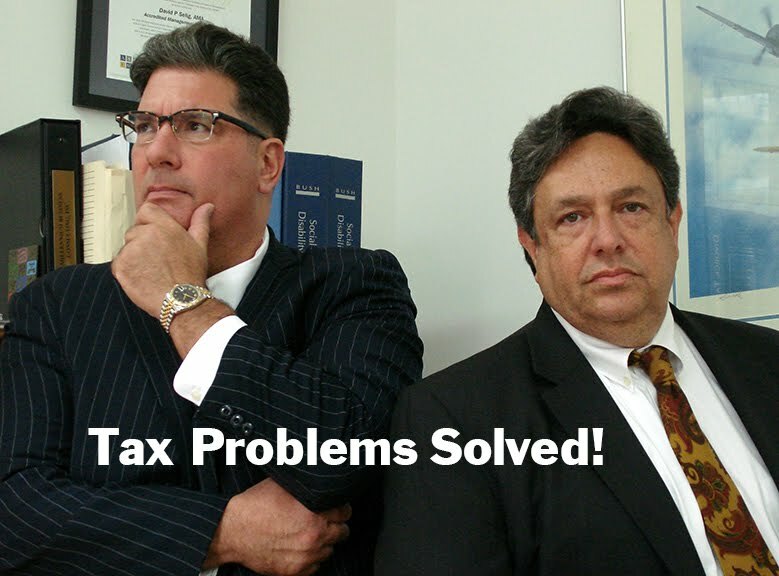 Consult with a Federal Tax Practitioner and Attorney today. *Same day and emergency appointments available. For immediate assistance call (212) 974-3435 or contact us online. Our New York City office is conveniently located and easily accessible by car, train, bus and subway. Call us directly at (212) 974-3435 or contact us online. We negotiate excellent installment agreements and specialize in audit representation, unfiled tax returns and all Department of Labor issues. To schedule a Free Consultation call (212) 974-3435 or contact us online. We negotiate excellent installment agreements and specialize in audit representation, tax compliance and Workers Compensation insurance audits. To meet with us personally call (212) 974-3435 or contact us online. Including liquor liability, active shooter and workplace violence protection, cyber insurance, sexual harassment and employment practices liability insurance (“EPLI”). For more information call us directly at (212) 974-3435. We settle commercial property insurance claims, including business interruption, burglary, fire, windstorm and water damage. To discuss your claim with an Attorney and Public Adjuster call (212) 974-3435 today.